The majority of “street” type people carry some kind of edged weapon be it legal or illegal. The above noted information shows the importance of training to deal with such encounters. A person’s ability to deal with such situations will be based on his/her TRAINING AND EXPERIENCE. Experience is something not easily acquired, proper training can save lives by preparing you both physically and psychologically. Remember that most edged weapon assaults take place unexpectedly and so quickly that it is not unusual for the defender not to have time to realize that an edged weapon is involved. The attacker who possess an edged weapon usually does not want to convey in any way that he has one, and will usually conceal it until such time as he can deploy it quickly against you. Although a reality, it is a rarity that the attacker will produce his weapon in full view prior to an assault. Those officers that did engage the threat immediately, proceeded to block the initial strike of the attacker and then immediately began to grapple with the attacker using elbows and knee strikes, but FAILED TO CONTROL THE DELIVERY SYSTEM REUSLTING IN A LARGE NUMBER OF LETHAL BLOWS WITH THE KNIFE. The above noted research by Siddle and Breedlove not only confirmed my findings but also answered why our officers were acting they were. It also explains why one officer, who had actually caught the attackers knife hand with both of his hands and was looking directly at the knife, stated “I didn’t see any knife” It was not until I showed the video that he believed there was a knife. Most techniques neglected the not so frozen limbs which the attacker still possessed and would use if not neutralized. Awareness strategies start with the above noted information on stats and facts. The best defense against an edged weapon is to not get into one in the first place. Watch for edged weapons, this means watching a person’s hands. I have stated for years that the only assumption I make in a fight is that the person I an dealing with may have a concealed weapon that I don’t see. The way in which a person may be packing a visible knife. A buck knife case that is holstered with the snap opening down lets you know that this person had thought about using gravity to deploy the knife quickly. In my program I have over 50 slides of actual knife wounds that I also show to further bring to light the issue of awareness and respect for the blade. There are as many gripes and strokes as there are people carrying knives. Is it important to know and understand how an attacker may be holding an edged weapon when it comes to defense. NO !!!!! I believe that the only important thing for you to understand is that the attacker is attacking with a knife. Again, in a dynamic and spontaneous knife attack you will likely not know how the weapon is being held. So if you have learned a system of edged weapon defense that is dependant upon how the knife is being held, good luck using it in the real word !!!!! 1. Respect the blade The person who attacks with an edged weapon has two incredible advantages. 2. Expect to get cut. You will likely get cut, bleed, may or may not feel pain. A program that teaches students not to expect this fact is NEGLIGENT. Your goal is to “WIN” notice I use the word “WIN” and not “SURVIVE”. Words are very powerful. The word SURVIVE is no different than the word “TRY”. Both of these words to the subconscious mind mean “FAILURE”. Our goal is to WIN, survival is a by-product of winning. 4. Control the delivery system. In the system of Pat Wrap and Attack we do not play the knife hand but rather the delivery system ( arm/elbow) In hockey do you play the puck or do you play the man. You play the man why, the puck moves to quick. In a knife fight don’t visually lock onto the knife hand it moves far to fast when compared to the arm/elbow. We also do not attempt to grab the knife hand in a dynamic situation for the reasons that I mentioned earlier. Small target, slippery when blood is present Remember than most edged weapon deaths are associated with serious multiple blows. Why, person failed to control the delivery system. The delivery system is the arm (lever), if we can control the lever we control the blade. The only exception to this rule is in a static knife hold up where the knife hand is not moving and can easily be controlled with two hands. 5. Attack the attack.. I believe that so long as the attacker has the opportunity to continue his attack, he has a strong tactical advantage, with a strong psychological advantage as well. 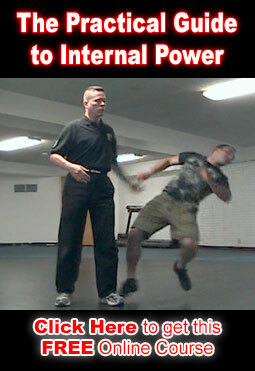 Both of these advantages must be neutralized as soon as possible by throwing the attacker on the defensive. I have been involved in FOUR separate edged weapon attacks which I “won”, and I have had one person die in my arms from an edged weapon attack.. There are a lot of edged weapon defense programs out there that are designed to get you KILLED because they do not deal with reality. Do your homework. I have attempted to summarize some of the reasons for the development of my 8 hr Pat. Wrap, and Attack system in this post. This system is being used around the world and has saved many lives. Knowledge and the understanding of that knowledge is power. Thank you all for posting the videos and articles.